Earlier this month, I attended the annual American National Association of Bilingual Education conference, which this year took place in Albuquerque, New Mexico. This is a conference we attend each year as it gives us an opportunity to showcase our books not only to academics researching in the area, but also to readers who might otherwise not discover them so easily, such as professionals working for school districts and in schools. This year’s conference was particularly exciting as we had organised a launch for the 2nd edition of our book Guía para padres y maestros de niños bilingües. This book was originally written by Colin Baker in 1995 as a guide for parents and teachers looking for resources to help them raise their children with two languages. The English version has since gone on to a 4th edition (published in 2014); we have sold the rights to other publishers to publish versions in Chinese, Estonian, German, Korean, Swedish and Turkish and we ourselves have published the two editions in Spanish. The 1st edition in Spanish was published in 2001, so it was long overdue an update. The 2nd edition, written by Alma Flor Ada and F. Isabel Campoy, in consultation with Colin Baker, came out last summer and has been really well-received. Ada and Campoy are very well-known, award-winning authors, who have published numerous books and poetry for children, as well as academic works on bilingualism. As such, many delegates were excited to have the opportunity to meet the authors, both at the signing and throughout the conference, and talk about the book and how useful it is for parents and teachers nurturing bilingual children. 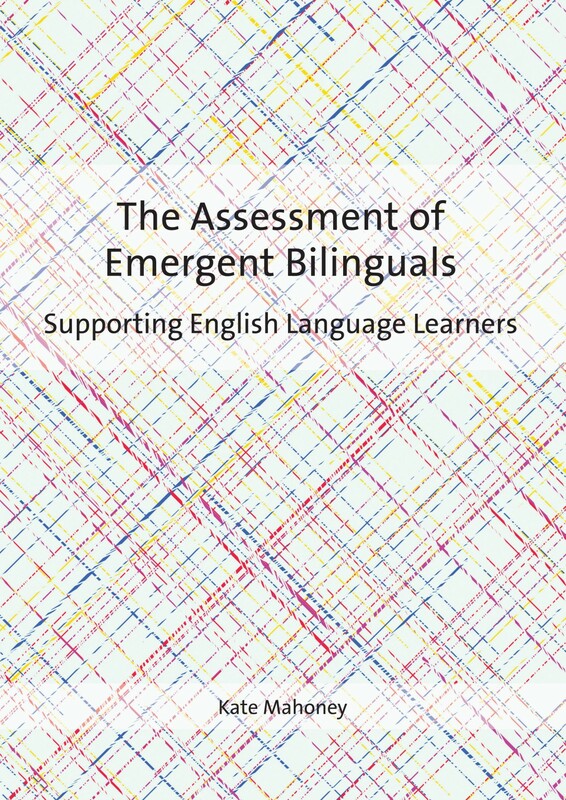 Aside from this book, our books on translanguaging, including Paulsrud et al’s edited collection New Perspectives on Translanguaging and Education, and assessment, such as Mahoney’s The Assessment of Emergent Bilinguals were popular with the delegates. I am fortunate to have a couple of friends in the city and I spent my day off before travelling home exploring the surrounding area. A personal highlight was going up The Sandia Peak Tramway, the longest aerial tram in the United States. The views from the top of New Mexico were simply stunning! 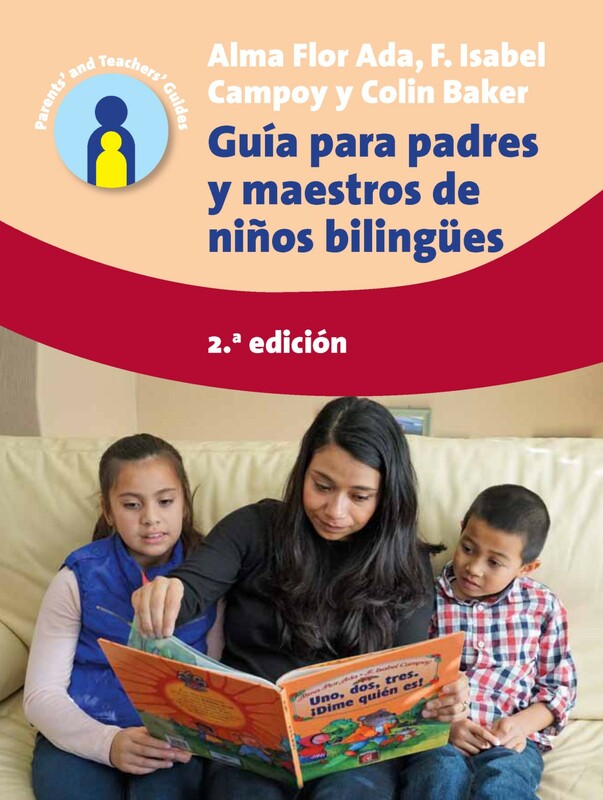 This month we are publishing Guía para padres y maestros de niños bilingües: 2.a edición by Alma Flor Ada, F. Isabel Campoy and Colin Baker, the Spanish edition of Colin Baker’s bestselling book A Parents’ and Teachers’ Guide to Bilingualism. In this post, Alma Flor and Isabel reveal why a Spanish edition of the book was needed. En nuestro frecuente contacto con padres cuya primera lengua no es el inglés y son residentes de los Estados Unidos, a quienes encontramos en talleres, conferencias, visitas a escuelas o bibliotecas, nos queda a menudo el dolor de comprobar que muchos de ellos se acogen a creencias y prácticas contrarias a lo que beneficiaría a sus hijos, como lo demuestra la experiencia y la investigación. Aunque estos padres no prevén inicialmente las dificultades de comunicación entre ellos y sus hijos, sí hemos encontrado a padres que se enfrentaban a la dificultad de no tener un idioma común con sus hijos. El bilingüismo es un tema complejo que puede manifestarse de muchas formas y los hablantes pueden llegar a diferentes grados de bilingüismo por caminos diversos. Este libro ofrece información e invita a reflexionar a los padres y maestros a tener un claro entendimiento de la alegría y los retos que implica el privilegio de llegar a ser bilingüe. La necesidad de proporcionar información rigurosa a los padres nos llevó a crear la versión en español de la cuarta edición de Colin Baker, Guía para padres y maestros de niños bilingües. Alma Flor ya había creado una versión de la primera edición que se ha usado ampliamente. La cuarta edición en inglés, amplió los temas sobre el uso de la tecnología, los resultados recientes de la investigación en psicología y nuevos descubrimientos en educación. Quizás lo más distintivo de este libro es la forma en que Colin Baker ha organizado los contenidos, a través de una serie de preguntas claras de interés para cualquier persona involucrada en la educación de un niño, en proceso de llegar a ser bilingüe. A través de la lectura del índice cualquiera puede rápidamente identificar lo que más le interesa y así llegar sin dilación a los consejos que busca en el libro. Las respuestas se presentan con claridad y de forma simple y se dirigen al lector de manera personal. La edición en español añade secciones dirigidas a la integración de la escuela y el hogar, se dan sugerencias para el aprendizaje en el hogar y recomendaciones de literatura infantil en español. Nos alegra haber dedicado tiempo, en medio de nuestra ocupada vida como autoras de literatura infantil y escritoras de materiales educativos, para crear esta edición en español. Fue una labor satisfactoria y esperamos que muchos padres y maestros encuentren en este libro una valiosa información. For more information about this book, please see our website. Colin Baker’s bestseller, A Parents‘ and Teachers’ Guide to Bilingualism (4th edition), on which this book is based, is also available on our website. How do we use social media to market our books? We at Multilingual Matters/Channel View Publications are very active on social media and have built up substantial communities across all our accounts. We enjoy interacting with our authors, publishing contacts, readers and people with a broader interest in the topics on which we publish, and have strong followings on both Facebook and Twitter, with nearly 2,000 contacts across our Facebook pages and over 15,000 on our two Twitter accounts. Social media has also become an integral part of our marketing campaign for each book that we publish. In the weeks and months leading up to and following a book’s publication, we in the marketing department use our various social media channels (Facebook, Twitter, this blog and YouTube) to announce its publication and publicise it as much as possible. It’s the easiest and most effective way of getting news to lots of people at once and on top of that, it allows people to engage with and discuss our publications, both with us and amongst each other. Of course, social media doesn’t come at the expense of our traditional marketing strategies and we still follow usual marketing techniques such as catalogue mailings, email newsletters, sending information to the book trade, attending conferences and book fairs and so on, but it does offer something new and different to our marketing repertoire. When using social media to market a book, it’s a real advantage if we have an author who is active themselves on social media and can help us to spread the word. Authors are best placed to reach their book’s key audience as their own colleagues and peers are likely to be those interested in the research. We often find that some of our bestselling books are ones where the author hasn’t been afraid of get stuck in! For example, you could create a Facebook page for your book like our authors Christian W. Chun and Leanne White did, where you can keep people up to date with the book’s progress and share useful information and news, including the 50% preorder discount flyer we create for all our books. In addition, if there are any relevant events that tie in with your book’s publication, do let us know! For example, we’ve previously promoted Hongliang Yan’s book, Heritage Tourism in China, in conjunction with World Heritage Day. 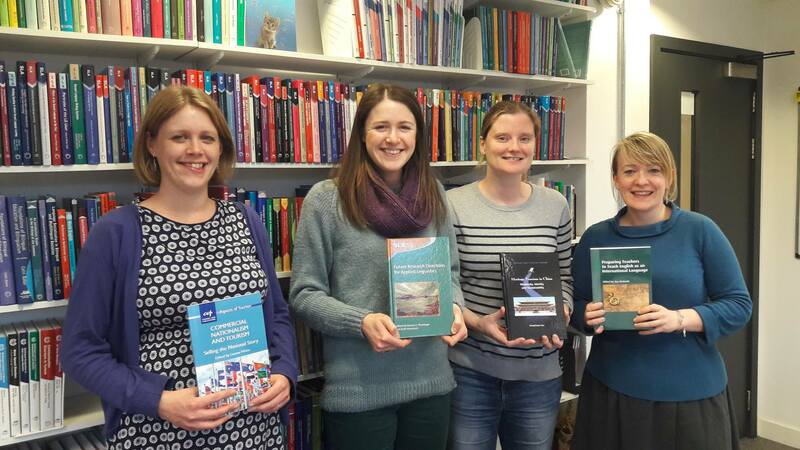 Facebook is also the main place where we post photos of office goings on, so your book may well end up in a photo like the one above of our commissioning editors with their books published in January. If you have any ideas for a relevant photo opportunity for your book, just let us know and we’ll see what we can do! Twitter is a great place to get book news out to the right people, and we do try to “mention” relevant accounts with publication news where we can. If you have any ideas about popular hashtags used by the community you’re trying to reach or users who would be especially interested in your work, let us know on your AQ and we’ll include them in our marketing plans. Each of our books are assigned three or four tweets during the month following its publication giving a taster of what to expect from the book, and we also announce it on both Twitter and Facebook on publication day. By using relevant hashtags, the word about a new book gets out to people who might not have heard about it otherwise, and we often see people mentioning friends or colleagues with recommendations of our books. We ask all our authors to write a piece about their book for our blog, which we schedule to coincide with its publication. This is a really good way to publicise the book and provide interested readers with a “behind the scenes” insight into how the book came about, giving authors a chance to sell their book beyond the blurb on our website. If you can send us photos or even videos to include in the post to grab readers’ attention, even better! We always announce new blog posts on Facebook and Twitter ourselves, but again, the braver authors are about sharing their post and telling the world about their work, the greater the number of views and the more engagement we see. For those authors that are feeling especially creative, we also have a YouTube channel where we post videos authors have produced to accompany their book. 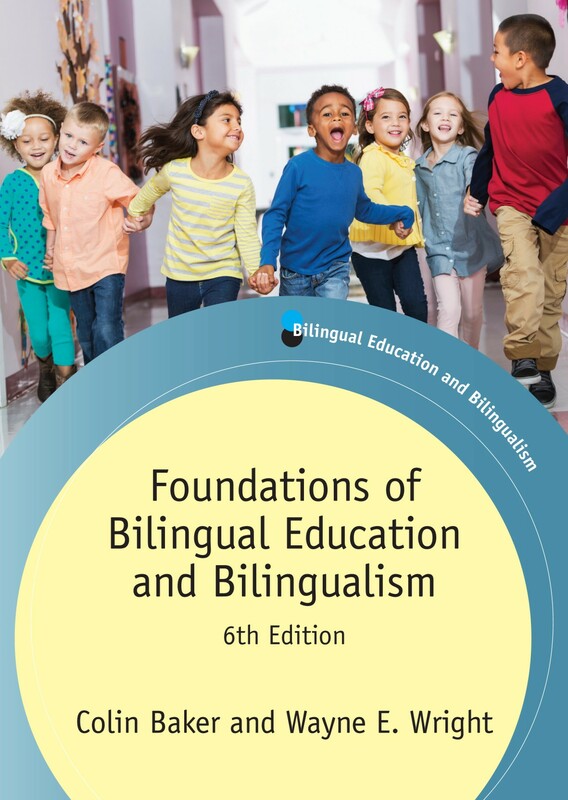 For example, we recently posted a video by Wayne E. Wright and Colin Baker where they spoke about the latest edition of Foundations of Bilingual Education and Bilingualism and one by Janet Enever and Eva Lindgren introducing their new book Early Language Learning. For their book, Optimizing Language Learners’ Nonverbal Behavior Tammy Gregersen and Peter MacIntyre produced a series of accompanying videos, such as “Say it with your Hands!”, all of which can be accessed on our YouTube channel. If you’d like to do something similar for the publication of your own book, just get in touch with us to discuss your ideas. Nowadays social media is an invaluable tool for getting publication news out there, and we do our best to publicise your book as much as possible, but there’s no doubt that the more active the author is in promoting their book through their own channels, the better. So get Facebooking/Tweeting/Blogging/YouTubing! 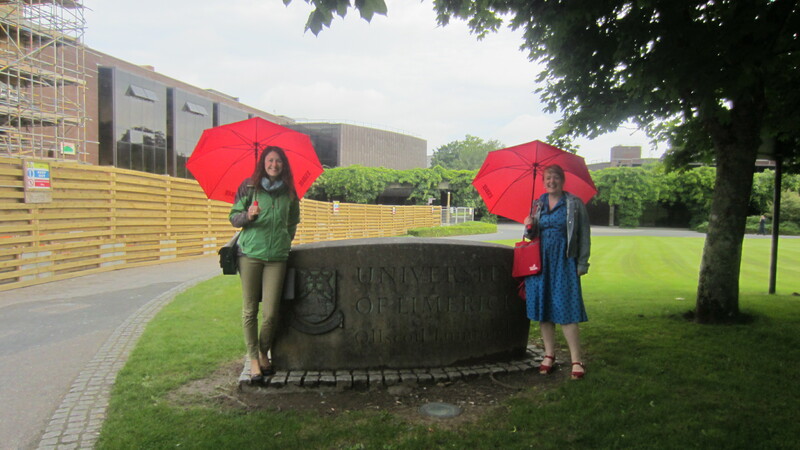 Earlier this month, Anna and Laura left Bristol in the midst of a heatwave for rainy Ireland and the biennial International Symposium on Bilingualism, which was hosted this year by the University of Limerick. In this post Laura tells us what they got up to. The theme of the International Symposium on Bilingualism conference this year was ‘Bilingualism, Multilingualism and the New Speaker’ and delegates enjoyed a packed schedule of presentations, either linked directly to the theme or to any other aspect of bilingualism and multilingualism research. 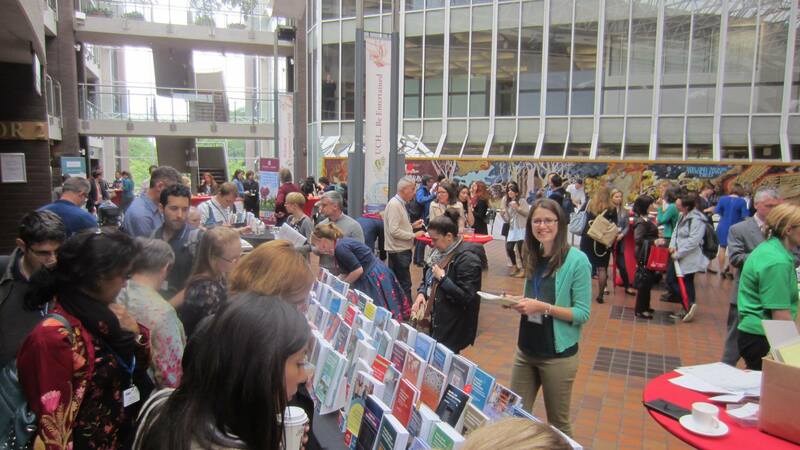 Clearly the topic of the conference lies right at the heart of Multilingual Matters and we were pleased that there was plenty of interest in our books. So much so that we often had a queue of keen customers at the stand during the breaks and were very glad to have each other to share the workload. Naturally, the 6th edition of our bestselling textbook, Foundations of Bilingualism and Bilingualism by Colin Baker and Wayne E. Wright, was a popular choice but it was matched in popularity by New Perspectives on Translanguaging and Education, edited by BethAnne Paulsrud, Jenny Rosén, Boglárka Straszer and Åsa Wedin. All the authors of other bestsellers, Raising Multilingual Children, by Julia Festman, Gregory J. Poarch and Jean-Marc Dewaele and Beyond Age Effects in Instructional L2 Learning by Simone E. Pfenninger and David Singleton, were present to talk to readers about their work. Another hot title was New Insights into Language Anxiety edited by Christina Gkonou, Mark Daubney and Jean-Marc Dewaele, who was one of the keynote speakers. Accompanying Jean-Marc Dewaele as other plenary speakers were Ana Deumert, Alexandre Duchêne, Elizabeth Lanza, Tina Hickey and Lisa Lim. The keynotes were all very well-attended and we were glad to be able to slip away from a quiet stand in order to hear them. Aside from the packed academic schedule, delegates were treated to a drinks reception, Irish BBQ with traditional Irish music and dancing and a Gala Dinner, featuring a live band and welcoming dance floor. Needless to say, we returned home utterly exhausted from an excellent and enjoyable conference and already looking forward to the next one in Canada in 2019! conference. 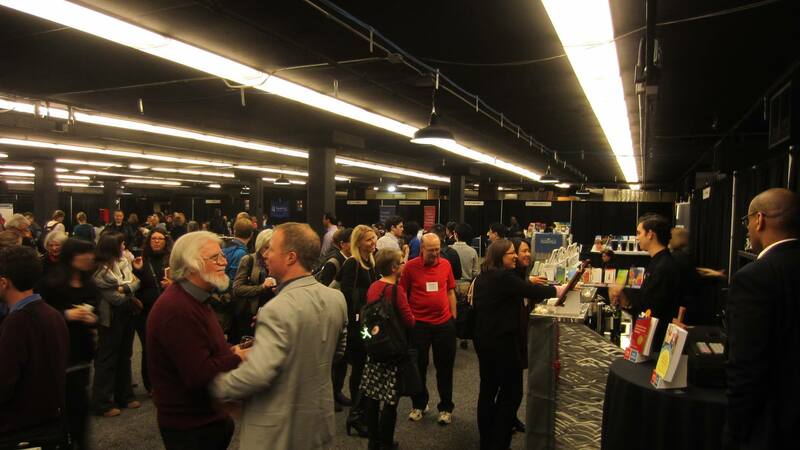 Last year’s conference was in Chicago and this year the gathering moved south to the warmer climate of Dallas, Texas. Fresh off the press (so much so that I had to take them in my suitcase!) 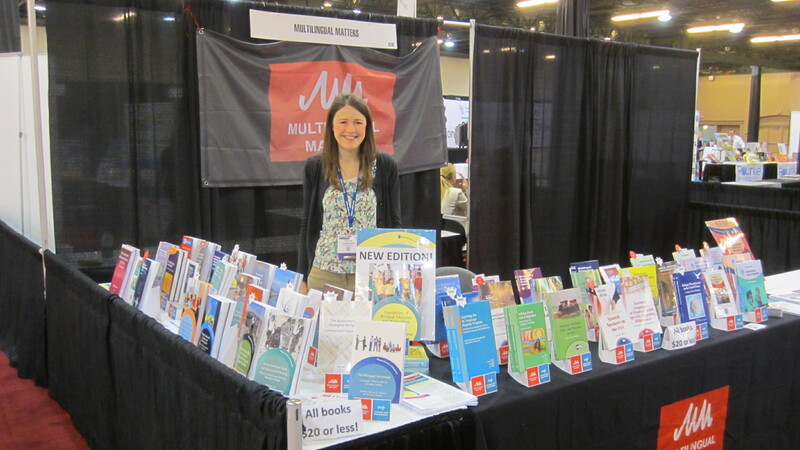 and highlights of the Multilingual Matters’ stand were Mahoney’s new book The Assessment of Emergent Bilinguals and the 6th edition of our bestselling textbook Foundations of Bilingual Education and Bilingualism, which is now co-authored by Colin Baker and Wayne E. Wright (you can read more about that collaboration on our blog here). Next up on the Multilingual Matters conference schedule come the American Association for Applied Linguistics (AAAL) and TESOL conferences and our editorial team will be heading to those gatherings which are due to take place on the west coast in Portland and Seattle later in March. We very much enjoyed our last trip to Portland for AAAL in 2014 and are looking forward to a bustling few days at the conferences. 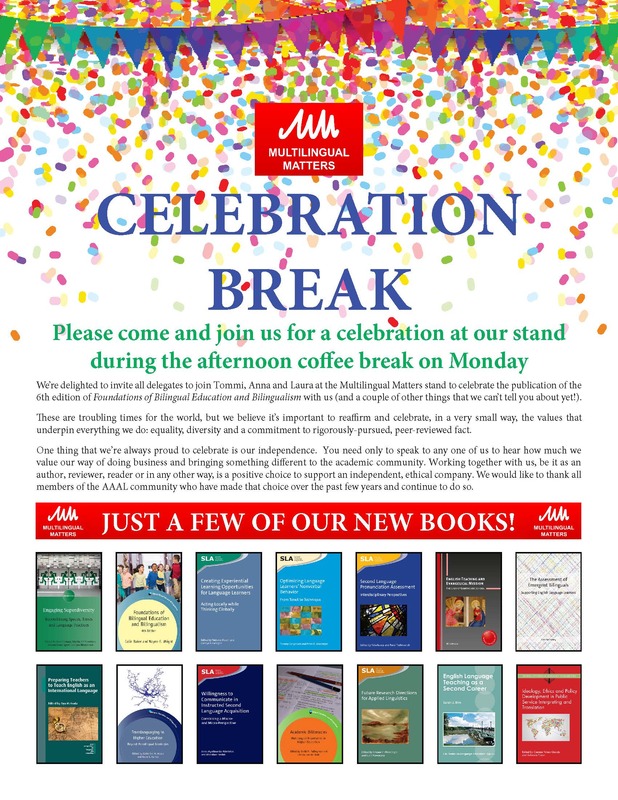 A particular highlight of the AAAL calendar will be the celebration that we’re hosting during the Monday afternoon coffee break at AAAL, to which all delegates are invited. On return to the UK, Anna will be attending the iMean conference which is hosted right on our doorstep at the University of West of England, in Bristol. Jo Angouri is one of the organisers of the conference and also one of the series editors of our new Language at Work series. We are looking forward to introducing the delegates to the first book in the series, Medical Discourse in Professional, Academic and Popular Settings edited by Pilar Ordóñez-López and Nuria Edo-Marzá, which was published last year. Later in the spring we’ll be exhibiting at the American Educational Research Association (AERA) conference in San Antonio, Texas and then in the summer we’ll be crossing the waters to Ireland for the International Symposium on Bilingualism, which is to be hosted by the University of Limerick. 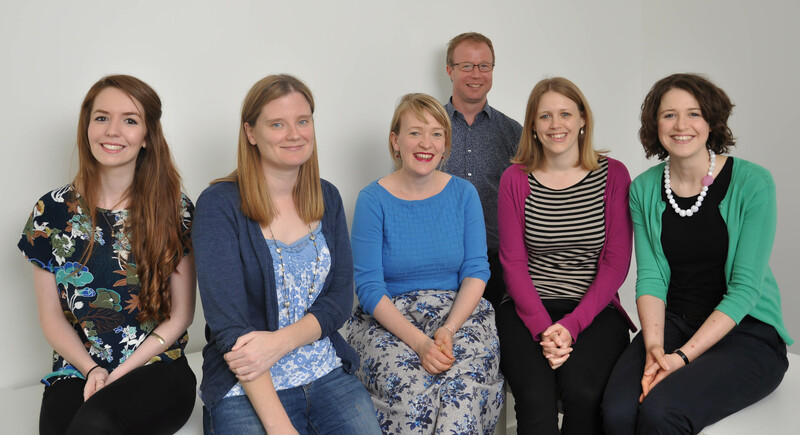 We very much hope to see you at a conference somewhere this spring – please drop by the stand and say hello if you see us! Q1: Colin, how does it feel to be handing over control of the book to Wayne? It was a dream come true when Wayne agreed to work with me on the 6th edition of Foundations. Since the 1st edition in 1993, research and writing on bilingualism and bilingual education have mushroomed so much that revising the 2011 5th edition by myself made no sense at all. Finding somebody with such an extensive knowledge of bilingualism, multilingualism and bilingual education, a broad and international understanding, totally sane and balanced, and much younger than myself was wonderful. Wayne and I met in Bristol (UK) and instantly found we had very similar ideas about the future and contents of the Foundations book. A close academic and personal friendship became a wonderful part of my life. Within a few hours of meeting, I knew that the future of Foundations was in the best possible hands, and I am enormously grateful to Wayne for taking on this responsibility. Q2: Wayne, how does it feel to be handed control of the book from Colin? I read the 1st edition of Foundations as an undergraduate student, and the 2nd and 3rd editions in my graduate programs. Colin’s book inspired me throughout my career as a bilingual teacher, and was a key resource as I began conducting research. I’ve used the 4th and 5th editions in my own courses. I was thrilled when the 4th edition included citations to some of my work, and even more thrilled when I was invited to help update one of the chapters in the 5th edition. Foundations and many of Colin’s other excellent books and articles have been a guiding force for me and so many others in the field for a long time. Needless to say, it has been a tremendous honor to join with such an esteemed and outstanding scholar as Colin as co-author of this 6th edition. 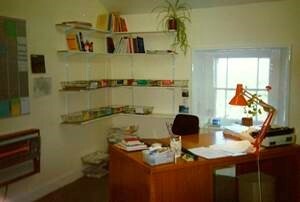 Colin and I had friendly correspondence occasionally by e-mail for many years related to various academic tasks. It was a wonderful experience to finally get to meet him in person in Bristol to discuss our plans for this and future editions. I confess to feeling unworthy of such an important task, but Colin quickly put my fears to rest. Working closely with Colin on this edition has been one of the most enjoyable experiences in my academic career. Colin proved to be a great mentor and friend. I feel a great sense of responsibility to ensure Colin’s original work remains an influential and beneficial resource for the current and next generations of students and scholars. Q3: How did the collaborative process work with your being thousands of miles apart in very different time zones? We both live almost 24/7 on email, and we both tend to answer each other’s emails very quickly. So communication has been highly efficient, focused and ever-friendly. It is also helped by Wayne getting up very early in the morning, and myself working quite late in the evening. So the time zone difference of 5 hours between Purdue and Bangor is hardly noticeable. Q4: Wayne, was it difficult to take on Colin’s ‘voice’ and maintain the style of the previous editions? Surprisingly no. Colin’s ‘voice’ is one of the things I have greatly enjoyed in the prior editions. Colin is very good at writing about complex issues in a way that is easy for readers to understand. So I was very accustomed to Colin’s engaging writing style and I suspect it has had a subliminal impact on my own over the years. I found I didn’t need to exert any particular effort to match our styles. In fact, when reviewing our final proofs it was sometimes hard for me to distinguish Colin’s original words from my own additions! Q5: Did you disagree about anything along the way or did you both have the same ‘vision’ for the 6th edition? It was really odd, but we always seemed to agree easily and rapidly, mostly because our vision, viewpoints and understandings are so similar. Also, we both have great respect for each other’s strengths, which are often complementary, and we both seem to be good at taking advice from each other and from the many experts who reviewed every chapter. Q6: What is new in the 6th edition? Since the 5th edition of 2011, there have been so many new publications and so much research, new ideas and evolving viewpoints that the 6th edition has been thoroughly revised and updated. With students in mind, the 6th edition provides an improved reading experience making a valuable resource for course instructors, professional development providers, study-group leaders and all readers. Importantly, there are many new and more thoroughly covered topics including: translanguaging; dynamic bilingualism; transliteracy; multiliteracies; superdiversity; bilingual assessment; multilingualism; the nature of bilingual and multilingual identity; bilingualism and economic inequalities and advantages; digital tools for language revitalization; forces, mechanisms and counterweights in building bilingual education systems; recent developments in bilingualism and brain imaging research; bilingualism on the internet and in information technology. There is also a new or greater focus on a variety of instructional approaches and issues, as well as important policy developments in the US context. To address the large number of citations and references that grew substantially with each edition, over 860 older and redundant citations have been removed. These have been replaced with over 350 citations to more recent research and current developments, most of which have been published after the 5th edition was published in 2011. All demographic and statistical information has been fully updated. Figures, tables, and text boxes have been reformatted and are now numbered for easy reference. End of chapter recommended readings and study activities have been revised, plus discussion questions and many web resources have been added. We were especially pleased to include for the first time a comprehensive glossary with definitions for bolded key terms that appear throughout the book. Q7: Which part of the book did you most enjoy working on? Much has changed in terms of policy in the US and around the world. We enjoyed writing about the end of No Child Left Behind, the beginning of the transition to the Every Student Succeeds Act, and especially about current developments more favourable to bilingual and multilingual education such as the growing number of US states adopting the Seal of Biliteracy, California overturning Proposition 227 through the passage of Proposition 58, the expansion of CLIL across Europe, and developing nations around the world turning to multilingual education as a solution to challenges in providing a basic education for all children. We also enjoyed revising and adding new end-of-chapter material, thinking of ways the contents of each chapter could be used to engage students in meaningful in-class or online discussions, providing practical ideas for short research activities, and connecting students with real-life examples via the internet. Q8: Foundations has been hugely successful since the first edition was published in 1993. Why do you think it has been so popular and has continued to sell so well? 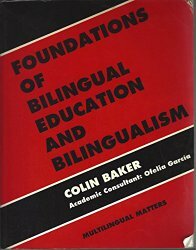 In 1993, there was no comprehensive introduction to bilingualism and bilingual education. 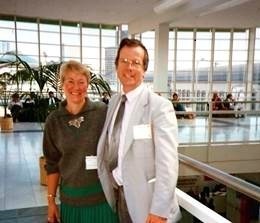 Mike Grover, the founding father of Multilingual Matters, noticed that Colin’s 1988 book ‘Key Issues in Bilingualism and Bilingual Education’ was selling as a textbook even though it was not written for that purpose. Mike had the vision for an international textbook that was as comprehensive as possible. Colin took the challenge. Then, in the early 1990s, Ofelia García played a key role in broadening Colin’s understanding from the psychological and educational to the sociological and political. She has been central to reviewing the draft of every edition since 1993. The first edition of 1993 and the subsequent editions in 1996, 2001, 2006 and 2011, sold well particularly in the United States, but also with sales in almost every country of the world. Mike’s vision has been fulfilled. Some very kind expert reviews have appeared over the years, particularly mentioning the multidisciplinary and international approach, the willingness to provide a balanced and critical view, the attempt to simplify the complexities without losing understanding, and the attempt to write in a relatively simple and straightforward style with international students in mind. These elements seem to be part of the character of the book and have made the book a bestseller. Q9: Is the 2017 6th edition an ending or a beginning? Multilingual Matters envisage that the book will go on from strength to strength to at least a dozen editions! Work on the 7th edition begins with the publication of this, the 6th edition. 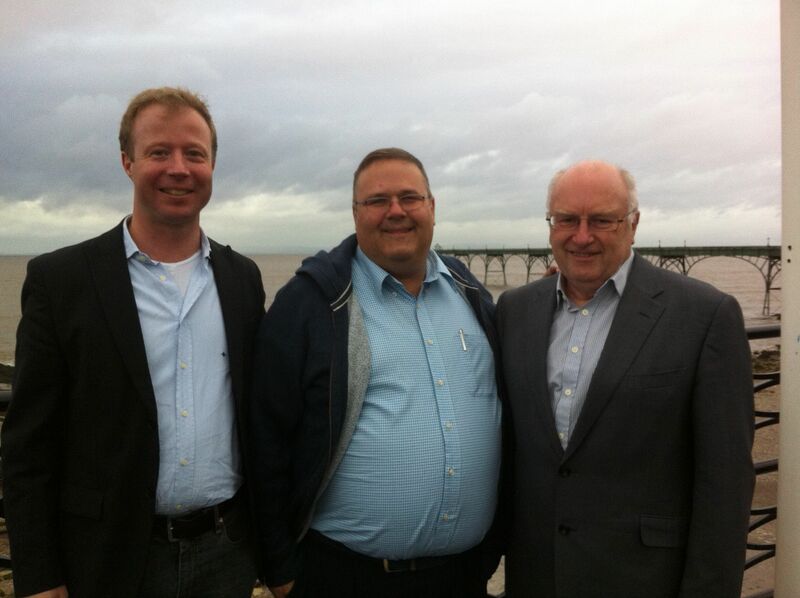 Wayne Wright is now in charge, and the authorship will naturally change to ‘Wright and Baker’. We are always looking for ideas about new themes, so if you have suggestions, they are very welcome. You could influence the 7th edition and help us move this famous textbook into the next six editions. For further information about this book, please see the video above and the book’s page on our website. If you found this interesting, you might also like The Assessment of Emergent Bilinguals by Kate Mahoney. This month we published Maintaining Three Languages by Xiao-lei Wang which explores her experience of bringing up teenagers multilingually. We asked Xiao-lei a few questions about her book. There are numerous ways in which my new book differs from other books currently on the market. Due to space limit, I will only mention a few here. Unlike most parenting advice books, in which parents tend to be treated as passive readers and are rarely provided with access to original sources, this book takes a different approach by considering parents as active and intelligent readers. To this end, parents are provided with original research sources; references and further readings are suggested at the end of each chapter for those interested in pursuing the topics discussed. In the same vein, some jargon and technical terminologies regarding multilingualism are deliberately introduced to empower parents to access research literature directly if they wish to do so. When jargon and technical terms are introduced, they are explained in simpler language. This book does not consider adolescents’ multilingual development as an isolated linguistic phenomenon; rather, it addresses multilingual development concurrently with other aspects of adolescent life such as biological, cognitive, and social development. The purpose is to encourage parents to consider taking a holistic approach that aims to cultivate a whole person rather than just a multilingual person. This book addresses the impact of multilingual family welfare, a topic that has been largely neglected in the published literature. Parents from multilingual families often come from different cultural backgrounds. As a result, the multilingual childrearing process may affect the coherence and well-being of multilingual families. Practical strategies are provided to help parents be mindful of family well-being. This book includes practical and easy-to-use language and literacy measures that parents can use to better understand their teen’s multilingual development of words, grammar and language production. By understanding their teen’s current heritage-language development levels, parents can focus on the areas in which their teen needs more support. This book is written in a reader-friendly style with a balance of scholarly rigor and reader accessibility. To increase readers’ enjoyment, I have included many interesting and meaningful personal anecdotes. Parents will probably enjoy a book with real-life anecdotes more than a dry advice book that presents information out of context. How will your readers find your book useful? Because this book is rooted in my own child and adolescent rearing experiences in the everyday context, parents can easily relate to what I discussed in the book. The practical strategies I proposed in the book can be implemented easily by parents. In addition, these strategies are based on research and personal practice. This book provides parents a platform on which they can reflect on their own multilingual childrearing practice. The book empowers parents by showing them that although multilingual childrearing is challenging, it is possible with the right strategies and support. Was it difficult writing about your own children? Not at all! On the contrary, I found that writing about my children has been the most enjoyable writing experience in my academic career. When writing other books or research articles, I can, once in a while, feel bored. This never happened when I wrote about my own children. In a way, this is natural: what can be more engaging when a mother writes about her own children, who are such an important part of her life? What’s the most important advice you would offer to parents of multilingual teenagers? Raising a happy teen is more important than raising a multilingual teen. Thus, taking a holistic approach in promoting teens’ social, cognitive, and identity development should be a priority. Parents need to change their roles from manager of their children’s lives to their consultants. Set up realistic and achievable goals together with your teens about their multilingual development. Empower them by letting them be a part of the decision-making process involving their own multilingual development. What are the advantages of growing up multilingual? Research has shown that there are more advantages than disadvantages to being multilingual. Multilinguals tend to be better at problem solving, because tackling a problem successfully requires focusing on some aspects of the information and ignoring the others (selective attention). Multilinguals may possess an added mental flexibility and creativity because they regularly switch between different languages (mental flexibility). Multilinguals tend to have more than one set of cultural tools with which to interpret the world. These tools can foster competent behaviors in multiple cultures. For instance, an individual who has extensive knowledge and experiences in cultures A and B may be able to retrieve ideas from cultures A and B spontaneously, place them in juxtaposition, and integrate the two into a novel idea through creative insight. This process is referred to as novel conceptual combination. Multilinguals have an advantage in knowledge transfer from their different languages. Compared with monolinguals, multilinguals can benefit greatly from knowledge acquired in their multiple languages to enrich their learning and understanding. Proficiency in more than one language has been shown to be associated with high academic achievement. Individuals who have the ability to switch between two or more languages also exhibit higher cognitive functioning than those who abandon one of their heritage languages. Research shows that when children were encouraged to further develop their home language, the skills they built in that language helped their mainstream language literacy development. In fact, the longer children receive reinforcement in their home language, the better they learn their mainstream language. Multilingual individuals tend to have a metalinguistic advantage when compared to their monolingual counterparts. They are more sanative about the language phenomenon in their ambient languages. They have more linguistic resources available to them. The multilingual faculty also facilitates new language learning. This is perhaps because multilinguals are more experienced language learners who have potentially developed more language learning strategies than monolinguals and have a larger linguistic and intercultural repertoire at their disposal. In having knowledge about their heritage language(s), children and adolescents have an advantage in accessing their heritage culture and communicating with their heritage family. Research suggests that children who speak their parents’ heritage language(s) enjoy better relationships with their families and are less likely to be alienated from their parents and relatives. Multilinguals have the privilege of accessing different sources of information and they can read books and newspapers, as well as watch news and films, in several languages. This makes them more versatile and helps them to approach things from multiple perspectives. Moreover, multilingualism can increase a person’s social circle to include friends from many parts of the world. When travelling to another country, being able to speak the language really helps bring people together and facilitates communication, exchange and socialization. Being multilingual has career advantages as well. In the increasingly globalized world, multilinguals have a competitive advantage in the job market. Research has shown that people who are proficient in their heritage language tend to have higher self-esteem, are more confident in achieving goals, feel they have more control over their lives, and have more ambitious plans for the future. Given all the advantages mentioned above and many others that I have not mentioned, it is definitely worthwhile to raise multilingual children and adolescents. As Stephen Krashen, an expert in second language learning, commented, “Heritage language development appears to be an excellent investment. For a small effort…the payoffs are enormous.” Another well-known multilingual expert, Colin Baker, also echoed that multilingualism has more advantages than drawbacks. However, I would like to caution that multilingualism affects individuals differently. Some multilinguals may develop particularly strong intellectual and linguistic abilities as a byproduct of multiple language leaning and use. Other multilinguals may have relatively weaker abilities in their respective languages because input in or exposure to each language is not evenly distributed. It is important to have a realistic view of multilingual effects and understand that there is no guarantee that being multilingual will result in benefits that are associated with multilingualism as described above, nor does it suggest that multilingualism is the cause of all the problems. Thus, not all multilinguals will function superbly or equally well; rather, the multilingual effects on an individual depend on many complex factors, including the individual child or adolescent’s sociolinguistic environments, parental support, aptitude, motivation and personality. What is your next research project? 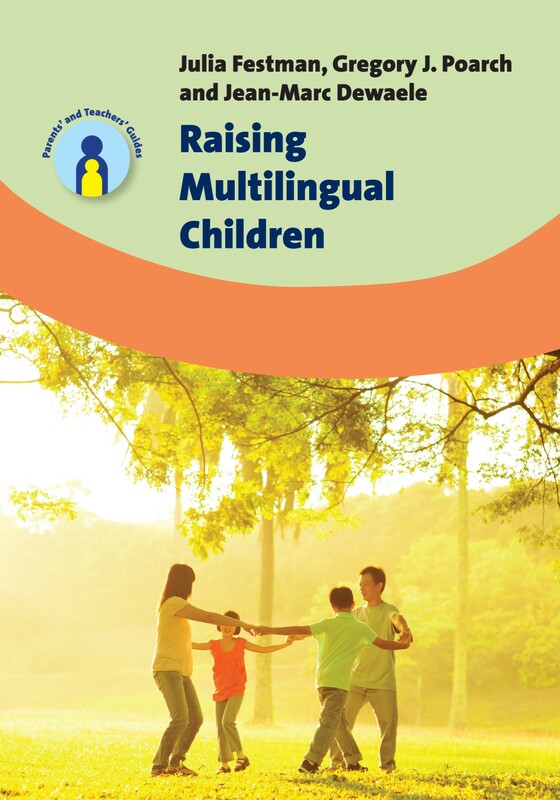 In addition, I plan to write a comprehensive handbook on multilingual children and adolescents, tentatively titled Everything You Want to Know about Bilingual and Multilingual Childrearing. If you found this interesting you might also like Xiao-lei’s other books: Growing up with Three Languages and Learning to Read and Write in the Multilingual Family. Information about all her books can be found on our website.